An ancient art dating back tens of thousands of years fishing has been practiced be almost every race and culture known to man. Classic tales of great white whales and lazy afternoons by the river ensure that fishing is enshrined in our cultures and the battle between fish and those trying to catch them will go on ad infinitum. Thanks to technology there is a wide range of fishing aids to help the modern day fishermen meaning that the next catch is never far away making fishing more enjoyable. So whether you’re fishing for your dinner or just for the sport, technology is on your side and should be taken advantage off. Like all hunters, fish will seek the best conditions for catching their food. Therefore the fisherman and women, should also select the optimal place and time for fishing. Knowing the course and eddies in a river or finding the perfect spot of open water to sink your line can be a hard skill to acquire and one that takes plenty of time and patience, but help is at hand in the form of fishing lights, underwater cameras and other aids. For years fishermen have gone out at night and hung lanterns on poles or in trees above where they are fishing, knowing that the light will attract fish. However white light is not always the best for this as it’s absorbed quickly by the water. 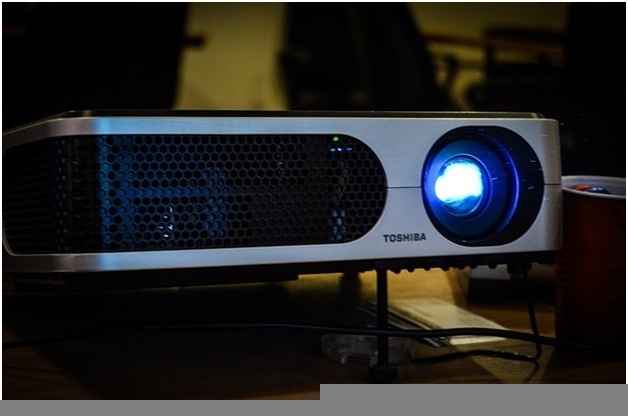 Using a green and blue light can help it to penetrate deeper in to water. Another reason the blue and greens work well is that fish are a product of their environment and as such have developed eyesight that is developed for life in dark water. This has resulted in the eyes of many underwater animals becoming more receptive to blue and green light. 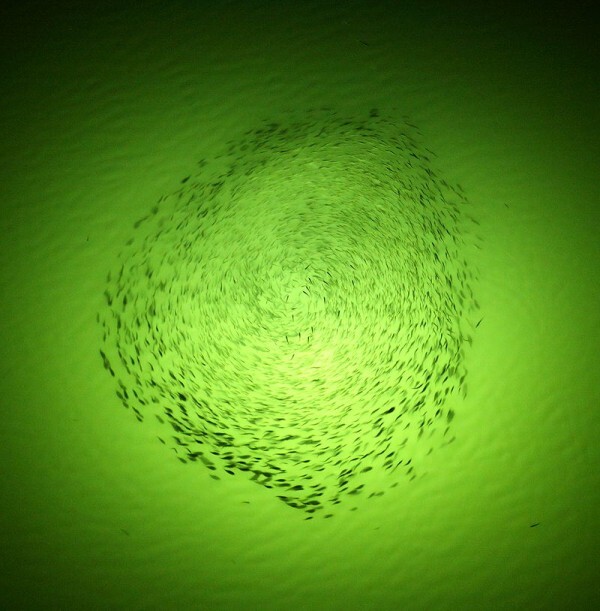 A green or blue light will also attract plankton which in turn is food for larger animals like minnows and shrimp which love to feed on them, these bait fish will in turn attract larger predatory fish that will swim up to check them out and have a tasty meal. If you’re fishing in this area with the correct bait then you too will be sure of a tasty dinner when the larger fish take your bait. These LED fishing lights are a lot lighter than those big old gas lanterns and will work out much cheaper with their large rechargeable batteries. What’s more they can shine in two or three colors so are suitable for different conditions. If you have been lugging around heavy gear needlessly, then perhaps it’s time to invest in an easier way to catch those fish. Being able to see where the fish are before bating your line and casting is a time saving way to make your fishing trip more productive and that’s where underwater cameras can come into their own. They let you find fish, monitor their movements and result in a better catch rate. These fish finders will typically allow a 360 degree rotational view of what’s going on beneath the surface and have a small color monitor as well as control to change or rotate the viewing angle. With many models like those sold at worldofelectronics.ie you can even record or snap photos of what the camera sees which is great if you’re a monitoring fish life or stock levels. Sometimes you may be looking for larger schools of fish or be working in deep water where the use of an attractive light to lure the fish in or even an underwater camera is just not suitable. In these instances a sonar fish finder can be of use and by sending out sound wave signals and picking up their reflection it can detect fish at a depths of up to 100 meters. These work on the same principles of the expensive sonar instruments you will find in big commercial trawlers but at a fraction of the cost and is much more portable. Generally the size of a mobile phone with a cable and sensor attached to one end they are easily operated and can be a quick and easy way to locate fish before setting up your tackle. 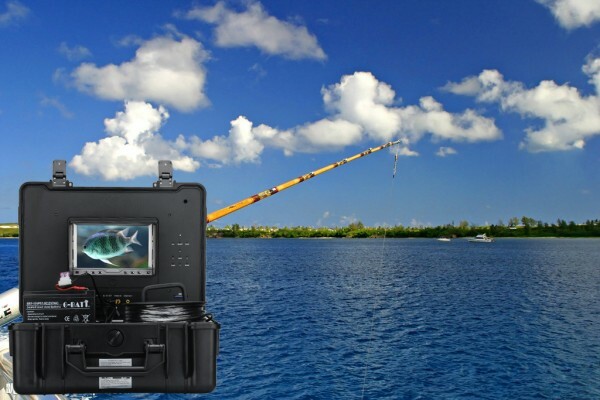 Like the underwater camera there use is not restricted to the fisherman and the can be extremely helpful to conservationists who may be tracking the movement of fish or larger marine life. They may be long, they may be boring, they may be at 8 am on a Saturday – but they do happen. Naturally, we are talking about meetings. No matter what your take on the matter is, we rarely get a chance to avoid meetings – and the best thing we can do is find a way to make them start on time, finish sooner and result in more . Here are 5 tools for Android that can help you in the matter. One of the best ways for a meeting to go smoothly is being prepared and keeping everyone on the same page. Agendas exist just for this reason and give us the outline of the core questions to discuss, preventing the meeting from going off track and drifting towards the discussion of the latest Game Of Thrones episode. With AgendaMaker, you will be able to create detailed meeting outlines – and do so quickly and easily with a simple drag-and-drop mode. 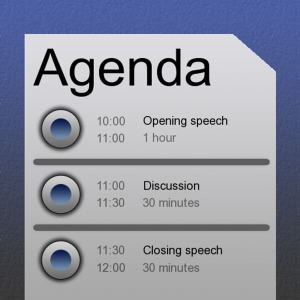 You can invite others (provided they have the same app) to edit the agenda and then send it out to all attendees. If you work in a liberal organization that aims to schedule meetings with everyone’s convenience in mind, things can get complicated. 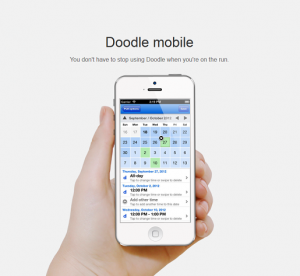 Doodle lets you send out personalized emails with several time slots and allow the recipients to vote on the time they prefer. You can use the received information to schedule the meeting at a time convenient for the majority, or play Doctor Evil and do the opposite – the final decision is up to you. A nice feature of the app, though, is the ability to create a “personal availability profile” – so that people can schedule meetings with you at the times that suit you the most. Face to face meetings are believed to be the best way to resolve work issues and create strategies for the company’s future. However, we don’t live in the ideal world and quite often find ourselves in different parts of the globe when it’s the right time to discuss business matters. When this happens, it may be time for the next best thing – a video conference. 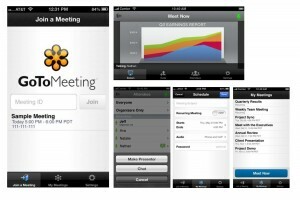 GoToMeeting is an app that can help you attend a meeting right from your phone, letting your colleagues see your pretty tanned face during that “business trip” to Costa Rica. You will be able to use your Android phone’s camera to virtually participate in the meeting, with up to 26 individual users being able to join the video chat. 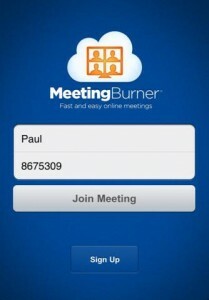 Another app for organizing online meetings is Meeting Burner. You will have a whole set of tools at your service to makes sure everything goes according to plan: participants’ lists, screen sharing, chat, audio streaming and more. The Android app woks together with Meeting Burner online service and can also be of great help when it comes to organizing or participating in webinars or taking online classes. The app and the online service come in three formats: Free, Pro and Premium and there is a 14-day trial for the paid versions, letting you experience the upgrades in full. How many times have you walked away from a meeting feeling entirely confident about your task list for the next week only to find your head go completely blank the next day? Yes, that’s why we take notes. However, instances happen when we forget to grab the pen and paper or accidentally destroy the Word file we have compiled during the meeting. Papyrus is a simple note taking app that promises to let us take things down the natural way – that is by writing on the screen with a stylus or finger. 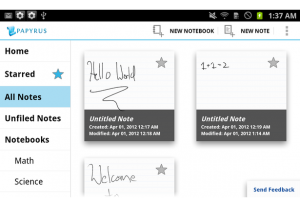 It basically turns your device’s screen into a virtual whiteboard with all the benefits of having a notepad with you.